Tolkien is in the air again. 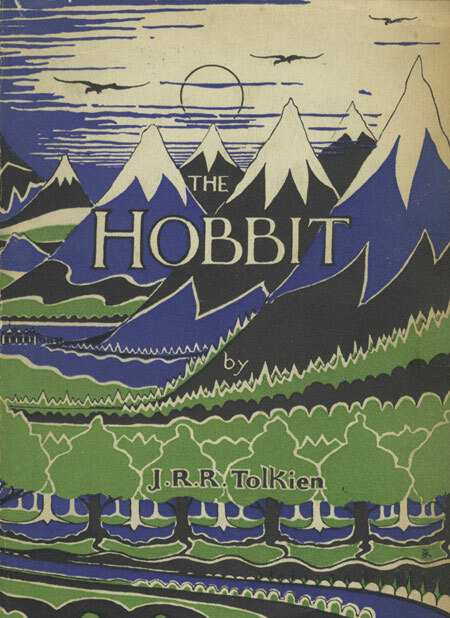 In December of this year, the eagerly awaited first part of Peter Jackson’s The Hobbit will be released. The trailers for the film have kindled a great deal of excitement and the film promises to be a delight for fans of one of the most beloved stories ever written. By some estimates it is the fourth best selling book ever. Ahead of it are A Tale of Two Cities in the top spot, The Little Prince, and Tolkien’s own The Lord of the Rings trilogy. I happily count myself among the Tokien devotees and I’ve declared this my very own Year of Tolkien. Basically this means that when I’m not reading some thing I must read, I’ll be reading through Tolkien’s works and a book or two about Tolkien. Reading The Fellowship of the Ring several days ago, I was captivated once again by an exchange between the wizard Gandalf and the hobbit Frodo. If you’re familiar with the story, then the following needs no introduction. If you are not, you really ought to be, but here’s what you need to know to make sense of this passage. In The Hobbit, the main character, Bilbo, passes on an opportunity to kill a pitiable but sinister creature known as Gollum. The creature had been corrupted by the Ring of Power, which had been forged by an evil being known as Sauron. It would take too long to explain more, but in the following exchange Gandalf is retelling those events to Bilbo’s nephew Frodo. “You have not seen him,’ Gandalf broke in. This is, in my estimation, among the most evocative portions of a body of writing replete with wise and often haunting passages. Among the many things that could be said about this exchange and the many applications one could draw, I will note just one. Gandalf is renowned for his wisdom, he is after all a great wizard. But in what does his wisdom lie? In this particular instance, it lies not in what he knows, rather it lies in his awareness of the limits of his knowledge. His wisdom issues from an awareness of his ignorance. “Even the very wise cannot see all ends,” he confesses. He does not have much hope for Gollum, but he simply does not know and he will not act, nor commend an action, that would foreclose the possibility of Gollum’s redemption. Moreover, he does not know what part Gollum may play in the unfolding story. For these reasons, which amount to an acknowledgement of his ignorance, Gandalf’s actions and judgments are tempered and measured. These days we are enthralled by the information at our command. We are awestruck by what we know. The data available to us constitutes an embarrassment of riches. And yet one thing we lack: an awareness of how much we nevertheless do not know. We have forgotten our ignorance and we are judging and acting without the compassion or wisdom of Gandalf because we lack his acute awareness of the limitations of his knowledge. We do not have to search very far at all to find those who will rush to judgment and act out of a profound arrogance. I will let you supply the examples. They are too many to list in any case. More than likely we need not look further than ourselves. Our problem is that we tend to think of the passage from information to knowledge and on to wisdom as a series of aggregations. We accumulate enough information and we pass to knowledge and we accumulate enough knowledge and we pass to wisdom. The truth is that we pass to wisdom not by the aggregation of information or knowledge, both of which are available as never before; we pass to wisdom by remembering what we do not know. And this, in an age of information, seems to be the one thing we cannot keep in mind. Next > Sign of the Times? some more on ignorance . . . . This is the best thing I’ve read from you thus far. Thank you. Thank you for this poignant truth with more sources for us to read and ponder. I watched the Lord of The Rings trilogy a week ago, after seeing The Hobbit. I was in a state of shock for about a week, after seeing the whole 4 movies. The kind of shock that made me search for Gandalf’s wisdom and arrived here, on your post. I believe that there are two, maybe three times in a man’s life, when one can calculate all of his achievements ’til that point and realise what’s to be done in the coming years. I saw in Gandalf a model of such wisdom, just as I felt comfort coming your soothing words, before going to sleep, after a few hard days. Glad for it, Alex. Thanks for taking the time to comment.